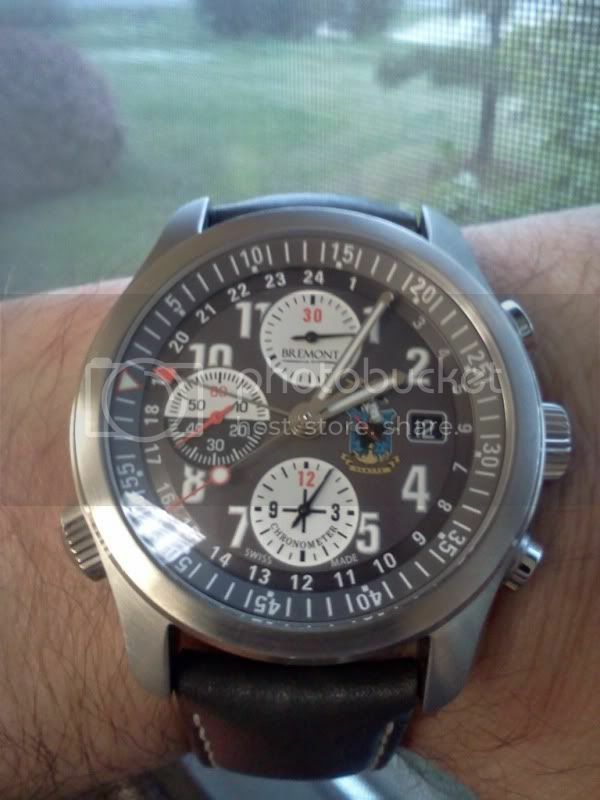 My first bremont was going to be ALT1-P but actually turned out to be a EP120. Next up will probably be a MB2 this year hopefully , but not sure what colour to get. Hi I'm Erry. I'm from Indonesia but currently living in L.A. I currently own the ALT1-Z and I really love this watch. Here's a quick dirty picture of the watch with his brother. Last edited by jappyjapz; 04-12-2011 at 02:59 AM. Last edited by Alt1tude; 04-12-2011 at 08:33 PM. Reason: Photo added...Many thanks! Wow! that sounds amazing... can you take a photo of your watch and post it or failing that email it to: admin@alt1tude.bremont.com and we'll post it up so everyone can see it! Proud owner of MBII Orange Barrell with Two canvas straps,Bremont Leather,Bremont Kevlar,Toshi . Proud owner of BCS2 Black/Green with One canvas,Bremont Green Leather,Toshi Black Strap Green Stitching . I'm in Surrey, UK and have a black Supermarine; currently on one of Carl (gasgasbones) velco straps (green stitching); also have the fantastic bracelet (one of the best I've ever worn, definitely up there with IWC quality). I currently have an EP120, ALT-1C (black dial), ALT-1Z (grey dial) & U2 LE. I would post pictures but my tinternet skills are limited, although Piers did collar a photo of my EP120 about a year ago. It would be nice to get a SM500 or P-51, but funds are tight at the moment. Simon, London; own a MB1.5 Orange and looking to purchase an EP120. Also tempted by the Supermarine in Green/Black as well as the ALT1-Z in Cream on leather.